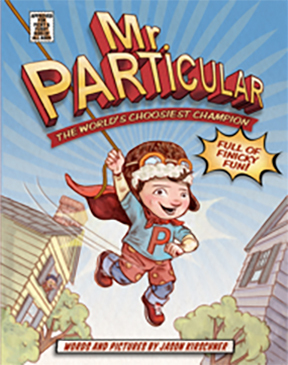 Before I became a children’s book author, I wrote newspaper and magazine articles. 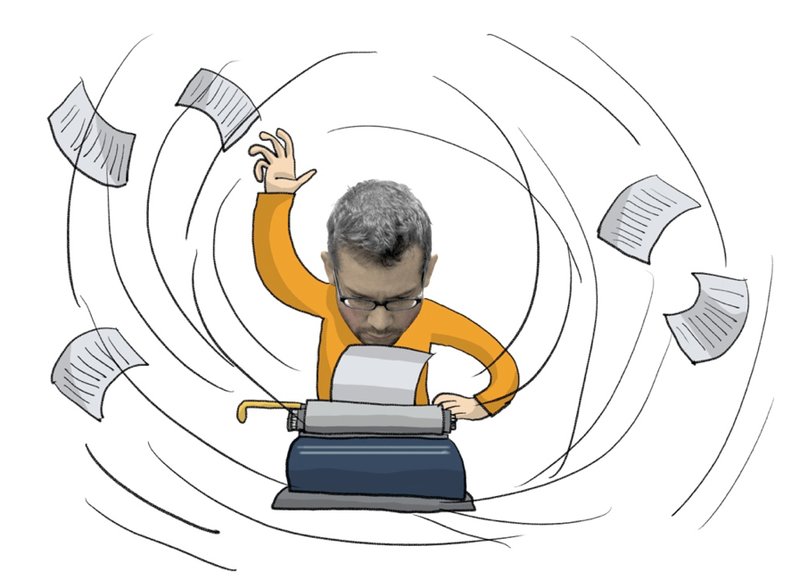 I looked forward to feedback from editors that would help my stories shine. But one day, I received a note that made my shoulders slump in shame. “This has no soul.” I don’t remember what the story was. But I remember that critique. I prided myself on being a writer who put her all into her work. But my editor was right. Technically, the story did the job. I included the who, what, where, when, why and how. My beginning worked. I wrapped the story up with a bow. But my piece didn’t make you feel. It had “no soul“ – no beating heart. When I think about how to describe heart, I hear my favorite songs. I love ballads. Full of emotion, they make you smile or tear up in remembrance, catch your breath or sigh. As you listen or sing along, you feel everything that’s happening. You connect to the songs, because they speak to something deep inside. How do you create stories with heart and soul? You start by putting yourself in your characters’ shoes and using your words to make music that will linger. Remember the joy of singing with abandon as a child. We didn’t worry about being on key or who was listening. We let it all out. Give yourself permission to feel everything. Use your senses. Show with your words. Go where the story takes you and bring your reader there too. Creating stories with heart can be tough. 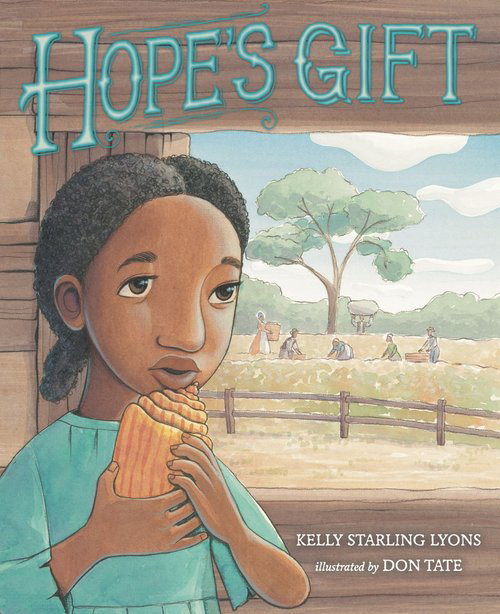 Early drafts of my historical fiction picture book, Hope’s Gift (G.P. Putnam’s Sons), were so focused on accuracy that the pulse was missing. I forgot to make readers long for freedom with Hope, feel her pain, root for her and her family. 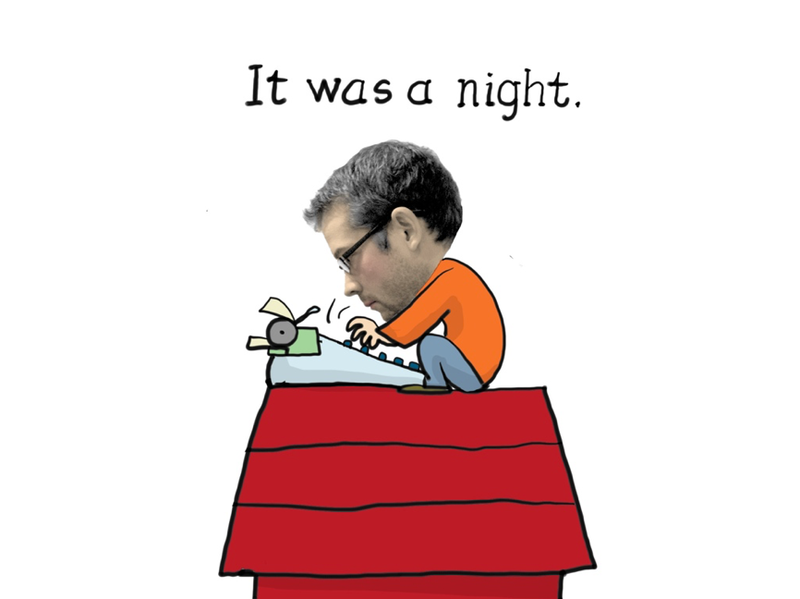 My editor reminded me that stories fall flat without feelings. She told me to put the history aside for a moment and just focus on Hope’s emotions. She’s enslaved. Her father has run away to help liberate their people. He gives Hope a conch shell and a promise that freedom is coming. All she has left are that gift, her mother and brother and her faith. As I revised, Hope and her family became real. I pictured her looking into her papa’s tear-stained face as he said goodbye. I imagined her clutching the conch shell he gave her, listening to the swooshing and hearing the echo of his words: “Nothing can keep freedom from coming.” I saw her comforting her little brother Henry like I used to comfort my younger brother Kevin when something made him cry or shudder. I immersed myself in her emotional journey of sorrow, hope, disappointment and joy. The characters lived not just on the page, but in my mind. Another way to create heart and soul in stories is by studying those who do it well. Check out the work of gifted authors like Jacqueline Woodson, Angela Johnson, Sharon G. Flake and Carole Boston Weatherford to name a few. Read their work for the joy of their stories first. Then, analyze their books and glean tips to help your characters spring to life. A last tip is to consider your own reaction. If you’re not welling up as you write, feeling a knot in your chest or your heart pounding, readers may not either. Look for internal cues that you’re making music that will resonate and play on. Kelly Starling Lyons is a children’s book author whose mission is to transform moments, memories and history into stories of discovery. Her books include chapter book, NEATE: Eddie’s Ordeal; CCBC Choices-honored picture book, One Million Men and Me; Ellen’s Broom, a Coretta Scott King Illustrator Honor book, Junior Library Guild and Bank Street Best selection and Tea Cakes for Tosh and Hope’s Gift, Notable Social Studies Trade Books for Young People. Her latest picture book is One More Dino on the Floor. Learn more about Kelly at kellystarlinglyons.com. And follow her on Facebook by clicking HERE. If you are registered for Kidlit Summer School, you can download a worksheet of Kelly’s writing exercise at our Exercise Book. This is a password-protected area — only members allowed! Please check your email for the password. Creating a character with real heart is hard. It isn’t like slapping a wristwatch into a Tin Man and telling him he suddenly has one. Figuring out how to do this—how to write a character whose heart is real—is one of the most important things to me when it comes to writing. But it’s also one of the most complex. How do you do it? How do you really get in to someone in such an intimate way? How do you become more than Victor Frankenstein—not merely assembling the body parts and bringing the lighting, but also make something live? When I step back to think about it, I —as I’m sure you do, too— get really, really intimidated. So instead of getting overwhelmed by the Big Picture, I try to recall my poetry background and focus on the details. Because, while we are all much more than the sum of our parts, those small parts—what we listen to, where we go, the things we care about day to day—can give others (and ourselves, really) a better idea of Who We Are. So I start very, very basic. Asking the kinds of questions of my characters that I would ask anyone else I’m first getting to know. What is your favorite color? A movie that moves you? What you like to eat when you’re sad? It may seem silly (especially when you’re only trying to develop the stepmom who only appears three times in a story), but sometimes the best devil really is in these details. To get you started with these questions, here’s a worksheet I give my students when we’re in the early stages of developing character, and ultimately story. You may not have answers to every single question, and some of them might seem irrelevant, but I find, for me, that asking what my character carries with him or her every day really can shine a light on bigger matters of heart. But another thing I think a lot about when it comes to character, and heart, is relationships. Who are the most important people to my character? Best friend? Parent? Romantic love? Boss? Coach? Who is on their radar but to a lesser degree? A friend’s mom? A teacher? A sibling who now lives far away? Thinking about the important relationships in your character’s life will help determine their actions during the course of their story. For whom are they willing to fight? Who inspires them to hatred that leads to mistakes? The great Harry Potter, after all, may not have been moved to do what he did if it weren’t for his friends, his teachers, his parents, too. Dobby. Most Important People, and then the Second Most, while also connecting those Most Important People to each other. Because your mom certainly has an opinion of your girlfriend. Your best friend has thoughts about your evil boss. And those connections might influence your decisions when it comes to all of them. Of course I understand these two exercises may not be enough to fully animate a corpse. To do that takes a lot more time and practice than I can address in one lesson, but I do find that these detail exercises at least get the muscles twitching. Get my characters acting and speaking in more complete ways so that I can see better who they really are. How they move. What they love. It at least gets the two of us out the door on our first date together, where, I hope, with more questions and more conversations, we’ll both ultimately see each other’s real hearts. And fall in love. Developing character relationships to better understand motivation. Learning specific details about character in order to make them more complete and real. Understanding that building character is the hardest and most complicated aspect of writing, but is worth the time. Terra Elan McVoy is the author of six acclaimed YA novels and two middle grade, most recently This Is All Your Fault, Cassie Parker from Katherine Tegen Books. She is also an independent bookseller and creative writing instructor, and lives in Atlanta GA with her husband and a lot of shoes. To learn more about Terra and her books visit terraelan.com. If you are registered for Kidlit Summer School, you can download a worksheet of Terra’s writing exercise at our Exercise Book. This is a password-protected area — only members allowed! Please check your email for the password. 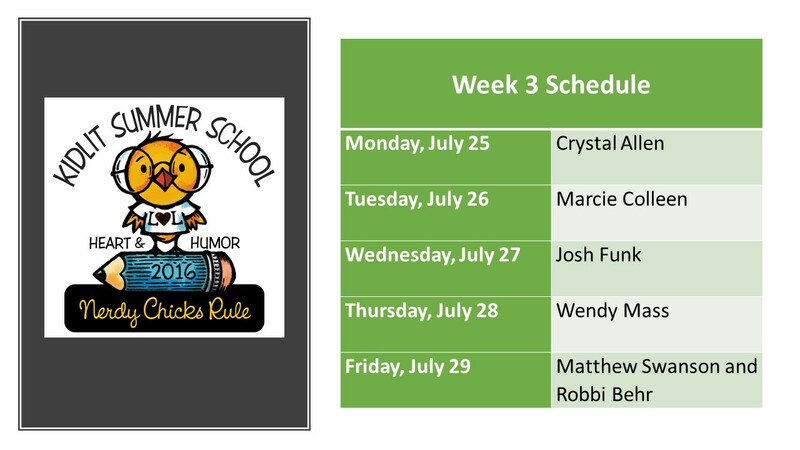 That’s a wrap for Week 3 Kidlit Summer Schoolers, but look out …here comes our fourth and final week! 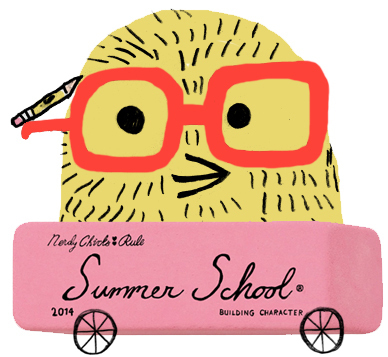 We hope you’ve been enjoying Summer School so far and discovered new ways to work, to help your writing and illustrating—and you—grow in the realm of Heart and Humor. As always, try not to miss class as much as you can. Posts are offered Monday through Friday right here on the blog through our fabulous faculty guest bloggers. And as you know all you have to do is virtually show up here. 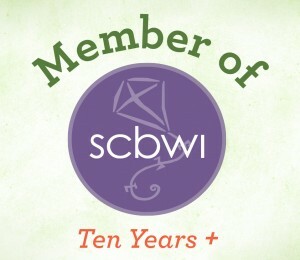 If you subscribe to this blog, school comes to you instead through your inbox. And don’t forget if you’re not already subscribed, just head to the right sidebar and subscribe—it’s that easy! Take a look at your class schedule for Week 4. There’s still so much more for you to learn! Make sure you are on the email list! All passwords, webinar links, etc. will be sent out through email ONLY. If you are not getting emails, please click HERE to troubleshoot. Because there are so many of you, we ask that you read this carefully before contacting us about a problem. A regular weekly email will be sent out (usually on Sundays). Look for it to make sure you get it! Join our Facebook Group! If you have registered for Kidlit Summer School 2016, follow this link to ask to be added if you haven’t already. Cafe Press: Soon our 2016 design will be ready to order from our Cafe Press store. 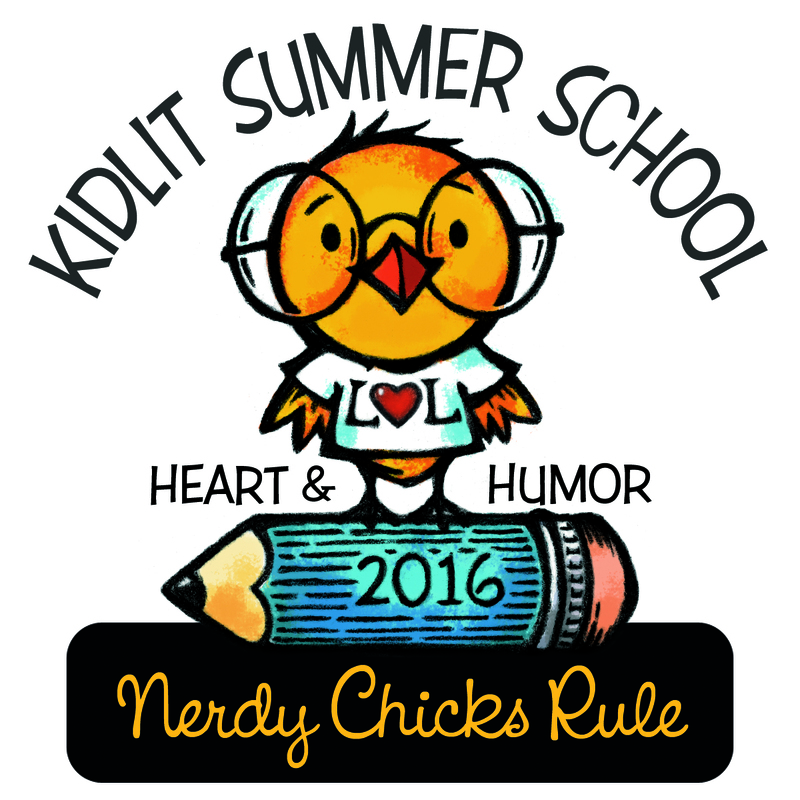 You can own some 2016 Kidlit Summer School Memorabilia. It’s coming this week, yay! Kick back today, catch up if you need to … and we’ll see you in class! Now that Week 3 is over, it’s time to review what you learned and take a Pop Quiz. We know you’re all going to ace it and make your teachers proud! 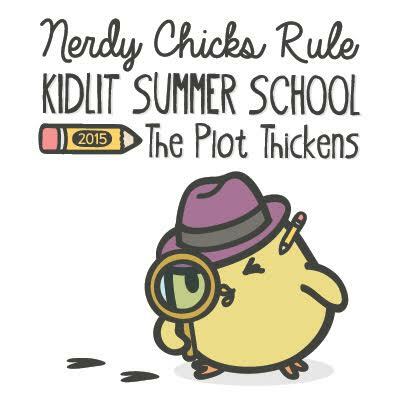 So go ahead, take this quiz to see what you learned during the third week of Kidlit Summer School. a) Showing paints a picture. b) Showing draws the reader in. c) Showing uses description, action, and dialogue to portray how a character is thinking and feeling and therefore, builds emotion…or heart. a) When limiting your picture book manuscripts to 0 to 300 (to maybe 500) words, it’s important to ensure that what’s being shown changes pretty frequently. b) Once you’ve given your illustrator enough variety of scenery – it’s time to let them run wild. c) Put the illustrator in the position to add as much humor as possible. a) Teach them what we wished we’d known and to entertain young readers, to make them laugh so that they’ll learn to laugh at themselves. b) Make them cry to teach them empathy. c) Show them adversity so they can learn to be strong and to pluck them from their lives and place them somewhere else, in the hopes that when they close the covers of the book they will come back to themselves stronger, with their minds open to new possibilities. a) The key to all humor is surprise—a turn of phrase or twist of events that feels unexpected, and sometimes delightfully so. b) Don’t put too much pressure on yourself to be hilarious at the outset. Toil all day, then play all night. Okay, now you get a chance to kick back, and enjoy your weekend…or if you didn’t get a chance to go through all the KLSS posts yet, no worries, you can go back anytime and catch up! See you in Week Four! Perhaps my greatest pleasure is making people laugh. Which is why pretty much everything I write is anchored in humor. It keeps my readers engaged. It allows for higher highs and lower lows. But how to create humor? Heck if I know. Writing this post forced me to think the question through. I’ve come up with a few suggestions. Maybe they will help you. 1. Write blind. The key to all humor is surprise—a turn of phrase or twist of events that feels unexpected, and sometimes delightfully so. As a writer, I seek humor by creating voices that reflect the world with a pleasing slant. But for these voices to surprise my readers, I also have to surprise myself in creating them. Too much thinking makes for plodding prose. The more calculating I get, the less natural (and therefore, less funny) the writing becomes. For me, the trick is finding a way to think less, not more. A few months back, I stumbled on a tool that makes it nearly impossible to censor and judge yourself while writing that first draft—because it sweeps away the fruits of your labor before you have a chance to realize how bad they might smell. I describe how it works in our exercise. It might be the simplest, most elegant way I’ve ever encountered to get the mind out of the way so that intuition can steer the writing process in the direction of fresh, uninhibited, funny prose. It’s also a fail-safe cure for writer’s block. And it’s free. 2. First Things First. My best jokes usually don’t show up until the end of a writing project. 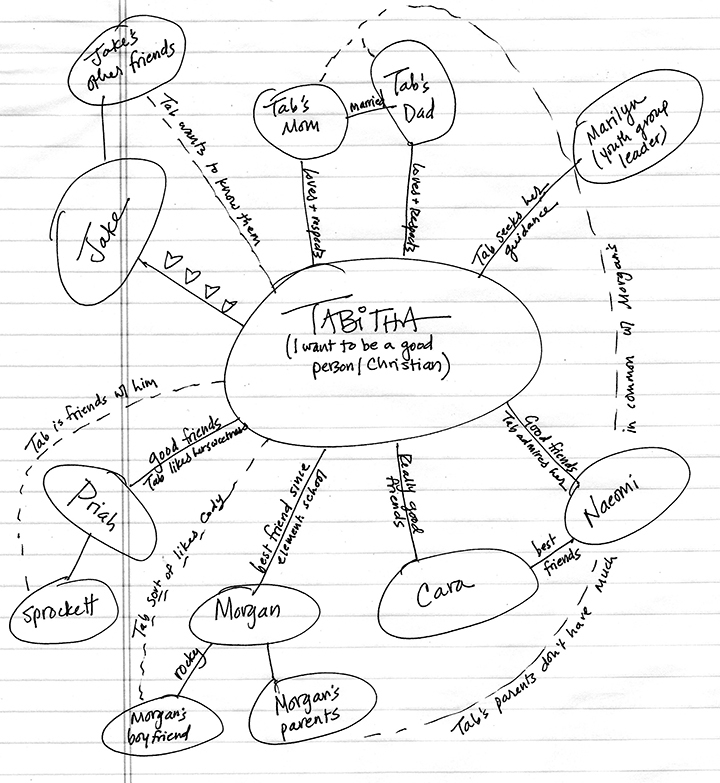 First I lay the foundation (character, plot arc, etc. ), then I frame the structure (the specific business that makes up the story), and only then do add the siding and the windows, the molding and the mailbox. My brain has to do a lot of thinking to build the house. But once the guts are in place and relatively watertight, the imps are free come out and romp, elevating the voice and the dialogue, making the tiny adjustments that transform a solid manuscript into a delightful one. Don’t put too much pressure on yourself to be hilarious at the outset. Toil all day, then play all night. 3. Humor Loves Company. It’s impossible to be funny in a vacuum. Landing a joke is completing a circuit. It’s a gamble, a gambit, a leap of pure faith. If you are struggling to write humor, find someone to laugh with. It could be a friend to read your draft and tell you what’s working and what isn’t. Or it could be someone to help you build your jokes by making their own contributions. (Remember that comedic TV shows are written by groups of funny people sitting in a room making magic together. 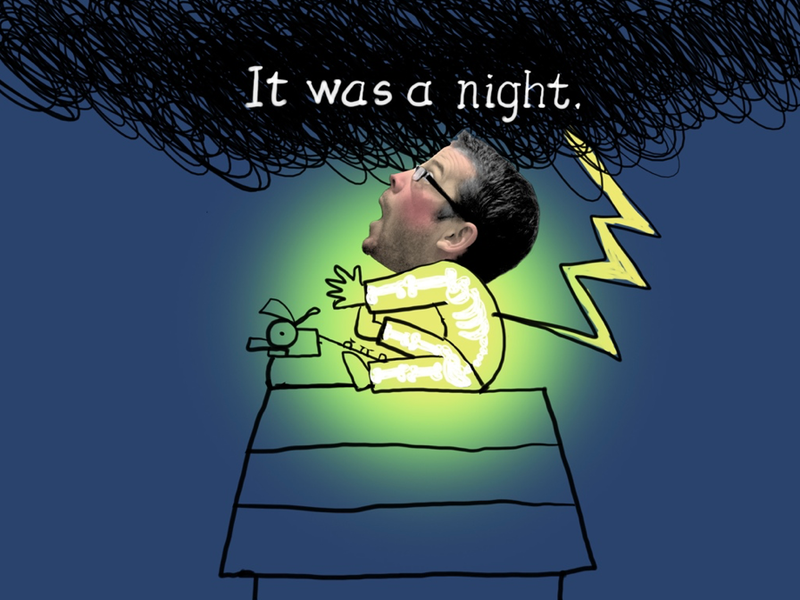 )Every book I write is created in close collaboration with my wife, the illustrator Robbi Behr (she who decided to electrocute me above). Sometimes, Robbi’s drawings elevate and extend my jokes by making them visual. Other times, the humor results from tension between the written and visual takes on a given situation. 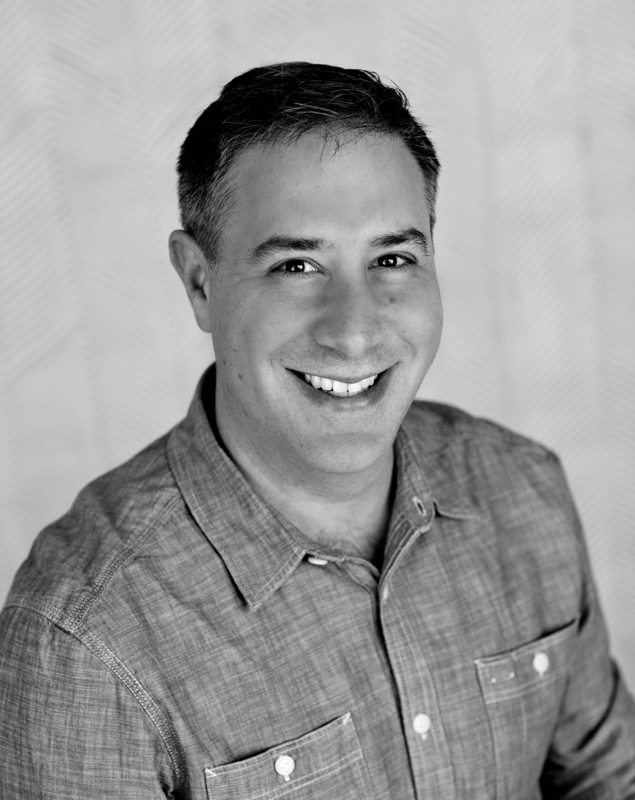 But Robbi is also my first editor, giving me an early gut check on my manuscripts and helping me develop jokes by lending an extra ear.Finally, just spending time with funny people can help get you into the right frame of mind. Humor depends so much on timing and pacing and instinct. Soak it in, and then channel what you’ve learned. Watch funny shows and standup. Read funny books. Be humor’s companion. Call it research. It’s not such a bad way to pass the hours. Turn off your conscious thinking, judging brain. Humor comes from someplace deeper. If you can’t force yourself to be funny, let the app in our exercise help. 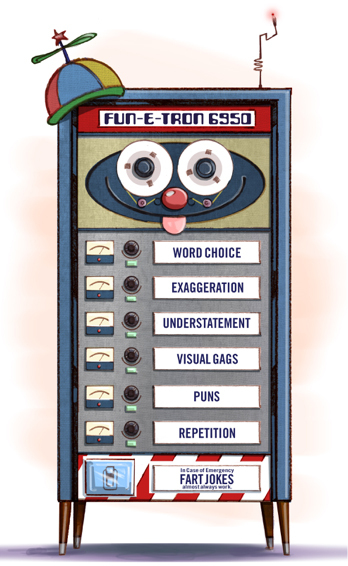 Don’t feel pressure to make your manuscript funny until you have the basics in place. Funny is the icing. Once you bake the cake, you can turn off your boring old brain and start to play. Commune with humor, whether through collaboration or seeking feedback, whether by hanging out with funny people or gorging on funny material. 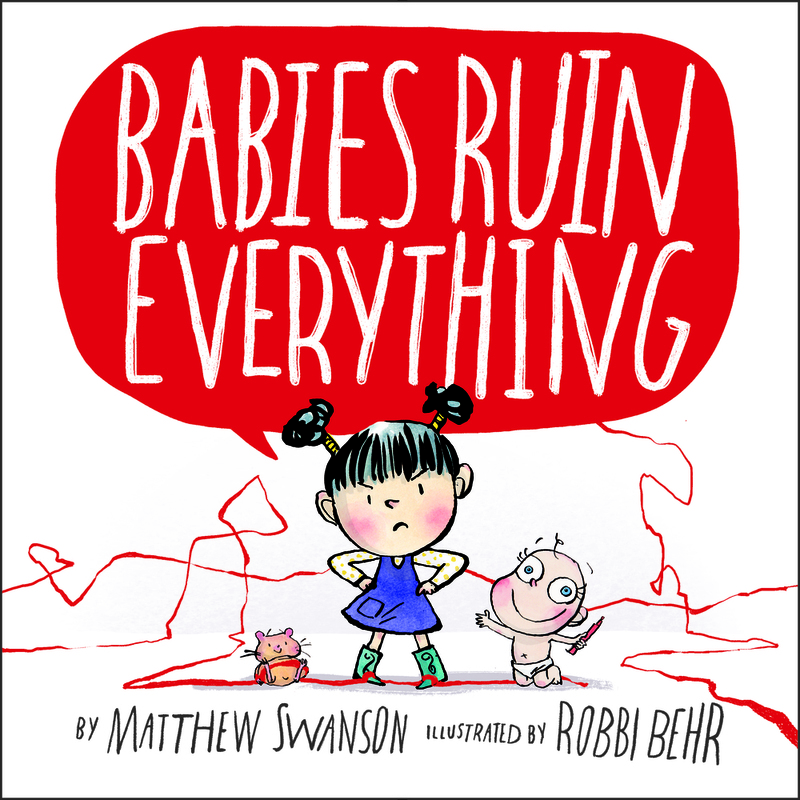 If you are registered for Kidlit Summer School, you can download a worksheet of Matthew and Robbi’s writing exercise at our Exercise Book. This is a password-protected area — only members allowed! Please check your email for the password. GIVEAWAY! 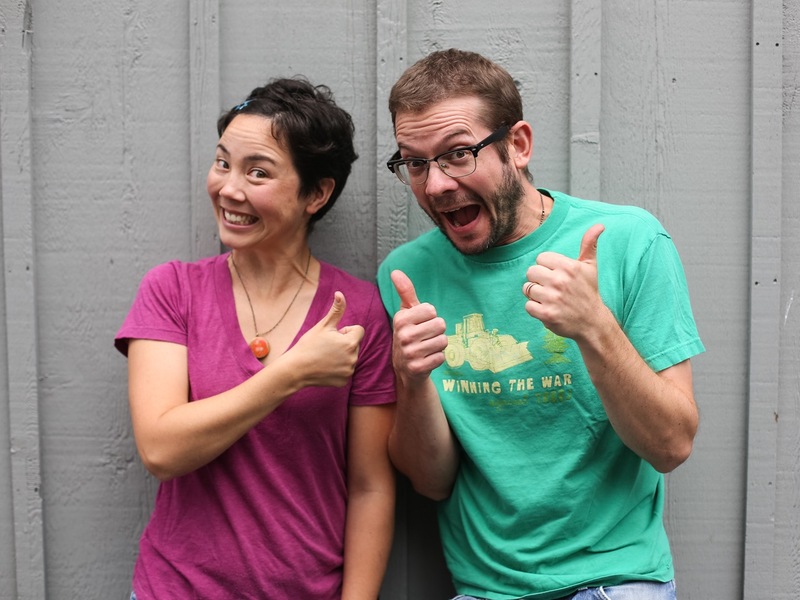 Matthew and Robbi are kindly giving away a Ridiculous Skype conversation . For a chance to win, please leave a comment below.